I am looking at the clock every five minutes patiently waiting for 5:00 to roll around, so I can get my long weekend started. I have spent much of the last few days getting last minute things together, trying to finalize plans, and the hardest task, trying to decide which combination of jello and alcohol will make the best jello shots. Tough I know. 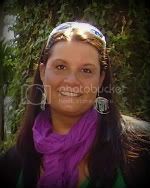 Here are some site from the past years. See all those people? 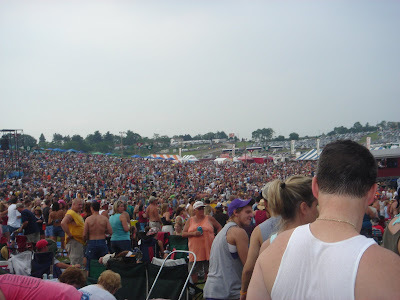 This years crowd is anticipated to be well over 100,000. 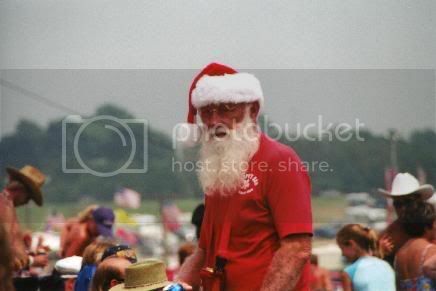 Ever wonder what Santa does in the summer? He comes to Jambo! Yes, that really is a coffin. Patrons take their own alcohol into the venue and have all kinds of various things they use for coolers. Including coffins. I will have lots and lots of stories and/or pics when I come back. While I am gone Rachel, RebeccaC, Andy, and Melanie (some of my FAVORITE bloggers) will be guest blogging which I am totally excited about. Leave them lots of love! I will be back on Monday! Enjoy the rest of your week and weekends!! Wait wait wait... FURNITURE?!?!?!? Aren't you supposed to be all Woodstock-y? I mean, like sleeping on the grass? And I SO need one of those coolers. Sleeping in a tent, on an air matress is considered roughing it for me. LOL. Fortunately, the concert is only about 25 miles from my house so I will heading home in the mornings to grab a shower. As for the furniture, well we like to have the comforts of home...LOL. I have my post all set to publish on Thursday morning, hope you like it!! yea! you're on your way!! YIPPEE! Have a great and safe time. It looks so fun...I'm very jealous. 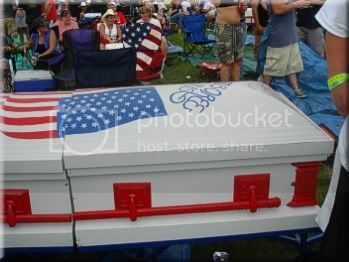 Holy crap a coffin as a cooler, that is insane. Totally insane and beats the camel.